This article on heating is important. Especially when evaluating a home's asking price. 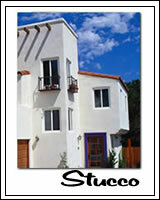 Do you know about the new artificial stucco being used on newer homes? Here's something to be aware of. Many newer homes are now being sided with artificial stucco siding, or EIFS (Exterior Insulation Finishing Systems). This is essentially polystyrene foam with a base coat, reinforcement mesh, then another base coat and then a finishing coat of stucco over the top. 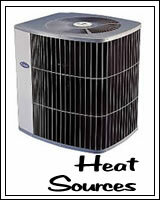 This is a terrific product, as it adds insulation value to the home, not to mention classy looks. However, it can also be a serious and very expensive repair if it isn't installed correctly and/or water gets behind it. There are several manufacturers of artificial stucco, and many builders installing it. Having it inspected allows you to know if there is a problem, and even if there isn't, you will be aware of the areas you need to keep caulked, and what to look for in case of trouble. Get more information on improperly installed EIFS right here.